Karl Darlow stands 185cm high and thus is about the same height as his team on average. Karl Darlow is one year older than his team's average age, as he was born on 08.10.1990. He had but one match appearance this season. In August 2014, English goalkeeper Karl Darlow joined Newcastle United (United Kingdom), whom he is still playing for. He prefers to play with his right foot, as do 63% of his teammates. 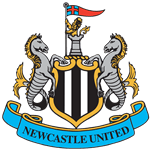 At present, Newcastle United is in Premier League (United Kingdom) they are in 15th place. Karl Darlow weighs 79kg which is 3kg more than his team's average heftiness. Throughout his time as professional football player, he was sanctioned with a card only nine times resulting in a mean value of 0.69 cards per play time. This season he was given but one penalty. He completes Newcastle United's goal department, alongside players like Freddie Woodman, Martin Dubravka, Nathan Harker and Robert Elliot. When it comes to unfortunate moments, Karl Darlow scored once in the wrong net since becoming professional. This was in Premier League 17/18 (United Kingdom) with Newcastle United. He reached the 174 appearances milestone as a professionl, the last one being 225 days ago. 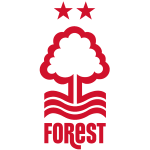 The longest period that he stayed in a team was six years and 32 days in Nottingham Forest (United Kingdom) Karl Darlow impressed in Championship 13/14 (United Kingdom), reaching his personal record of match appearances. Concerning the latest matches, his club lost in Premier League. He received the number 26 tricot at Newcastle United. 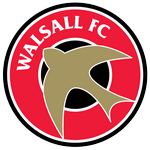 The briefest time Karl Darlow's spent on a team counts merely 30 days in Walsall FC (United Kingdom). 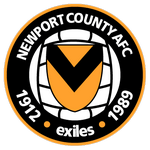 Prior to joining Newcastle United, he played for Walsall FC, Newport County and Nottingham Forest.